Of course I’ll start off with chocolate. Do you enjoy chocolate in all its wonderful forms… ice cream, chocolate bars, even chocolate tea? 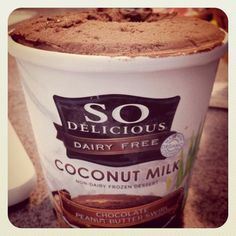 My favorite lately is chocolate coconut milk ice cream. Do you take a few mindful moments to enjoy your morning coffee? A summer tomato or crunchy fall apple? Your assignment: Each day, notice 1 thing with your sense of taste which gives you joy.